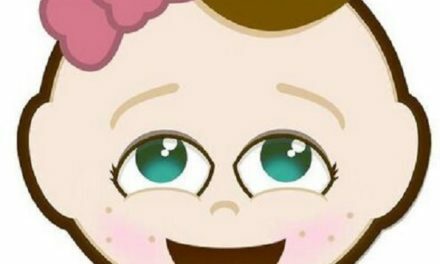 It’s the question on everybody’s minds: is it a boy or a girl? If someone close to you has a due date coming up, throw her the best baby shower ever with Celebrate Express! 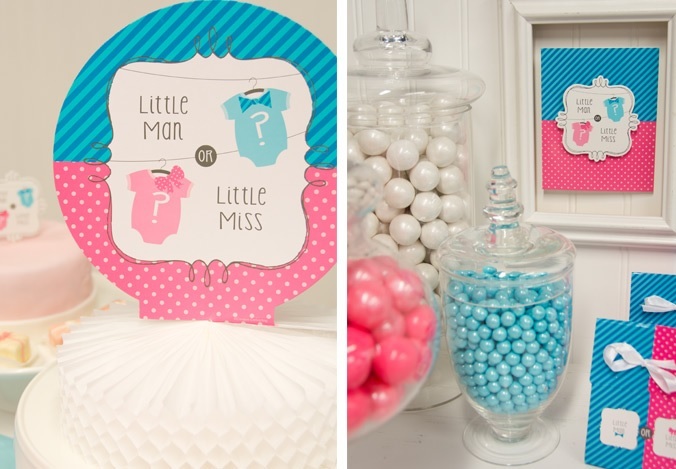 Our new Bow or Bow Tie baby shower party theme is the perfect fit if mom’s choosing to save the gender as a surprise. Or, she can reveal it to all the guests at the end of the party! Just like the rest of our party themes on Celebrate Express, Bow or Bow Tie is the complete party in box. This means that from plates and napkins to balloons, you get all the party supplies and decorations you need to have an amazing celebration in one convenient package, making party planning a snap. 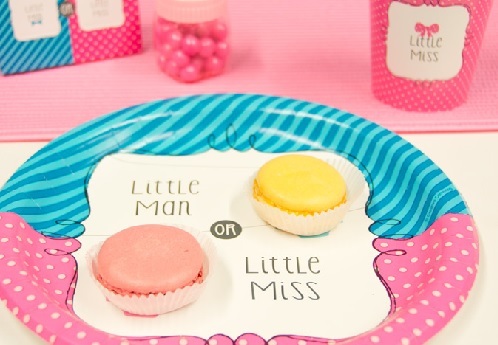 Keep reading to see our tips for this baby shower theme! All of these party supplies play up the anticipation. 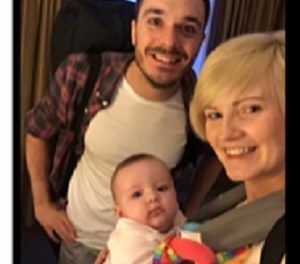 Are we going to be welcoming to the world a Little Man or a Little Miss? Each plate and napkin features a split pink and blue design, making both colors key in this theme. 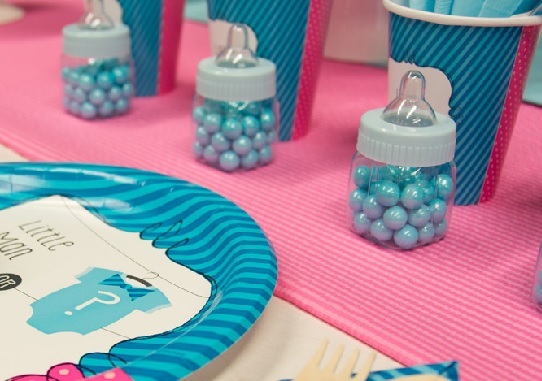 The cups are either pink or blue as well, and you can tailor the look to your liking with any of our solid pink and blue party supplies. Mix it up and experiment to find your perfect party look! The Bow or Bow Tie Centerpiece is a great way to dress up your table, combining the feel of the rest of the collection with a fun and frilly tissue paper base. For something sweeter, though, use a few decorative glass jars to display colored candies. With blue Sixlets and pink gumballs, it’s a decorative piece that everyone will definitely enjoy! To create another simple decoration, you can save some leftover invitations from the party pack, and place them in frames or otherwise around the party to tie everything together. Plus, giving every guest a matching gift bag is sure to leave a great impression, too! Baby bottle favor containers are another great way to spiff up the snacks table. Fill them with mom’s favorites (and yes, they do come in pink and blue)! Our larger baby bottle banks will work great as part of the table as well. Finish off your baby shower party-scape with an amazing balloon bouquet! Ours features pink and blue hearts with question marks, but feel free to embellish with other balloons of your choosing, too! This Bow or Bow Tie ribbon banner makes for great finishing touch to the backdrop, and you can cut out the graphic from a theme plate to make an easy DIY cake topper. Finally, hand every guest a boy or girl scratch off card at the end of the party for a fun to way to make the reveal! 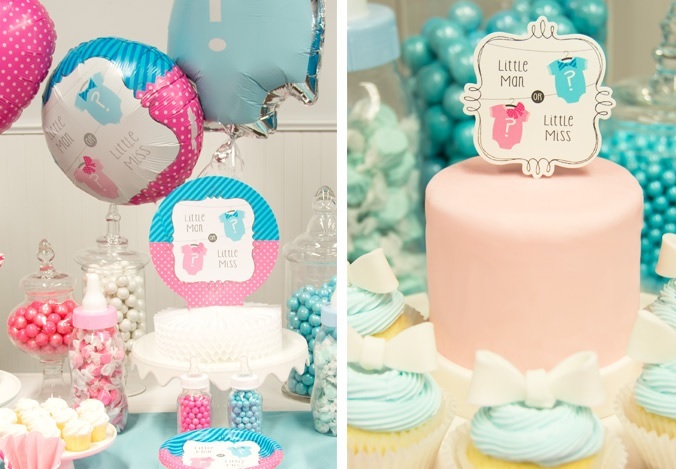 What did you think of this baby shower theme? What party should we design next? Let us know on Twitter @Celebr8Express! 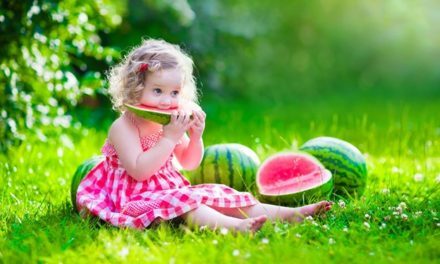 Be sure to check out the other baby shower party ideas on our blog, too, as well as our Pinterest boards for even more ideas and inspiration. View the complete Bow Or Bow Tie Baby Shower Theme on Celebrate Express.